The serotonin 5HT-2c agonist drug lorcaserin (Belviq) was approved by the US Food and Drug Administration in 2012 for the treatment of obesity and weight-related conditions (such as high blood pressure, type 2 diabetes, or high cholesterol) in adults. A 2017 article by researcher Harshini Neelakantan and colleagues in the journal ACS Chemical Neuroscience reports that in rats, lorcaserin may also reduce opiate use. The rats had been self-administering the opiate oxycodone. After receiving lorcaserin, the rats were less likely to consume oxycodone and less likely to seek it out. The rats were also less responsive to cues that had previously led them to consume oxycodone, such as lights or sounds that occurred when oxycodone was available. Serotonin 5HT-2c receptors both regulate psychostimulant reward in the brain and play a role in reactivity to cues like the lights and sounds the rats associated with oxycodone. Lorcaserin’s effect on these serotonin receptors explains how it could reduce the rats’ drug use. Clinical trials are expected to examine whether lorcaserin can reduce opiate use in humans in addition to assisting with weight loss. Lorcaserin is a drug approved for weight loss in very obese patients. It stimulates serotonin 5 HT-2c receptors thought to control appetite by inducing the secretion of the polypeptide pro-opiomelanocortin. In a 2017 article in the journal ACS Chemical Neuroscience, researcher Kathryn Cunningham and colleagues reported that the drug had reduced opiate use and craving in rats. 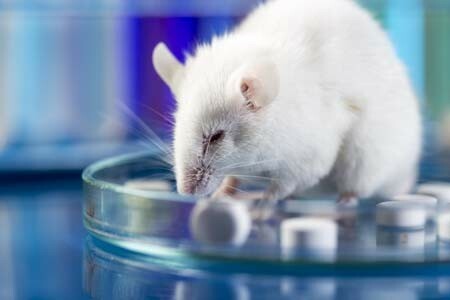 Previous research by Cunningham showed that lorcaserin reduced cocaine seeking in rats. Most treatments for opiate addiction work by occupying opiate receptors so that opiates are prevented from stimulating them, thus reducing the pleasurable effects of the opiates. It is not yet well understood how drugs like lorcaserin that target serotonin 5 HT-2c receptors affect the brain’s reward system. 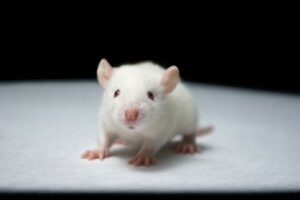 In the study, rats were trained to self-administer oxycodone. They were also trained to associate certain lights and sounds with oxycodone availability. Lorcaserin reduced the rats’ drug-seeking behavior and also weakened the link between the light and sound cues and the drug-seeking behavior. 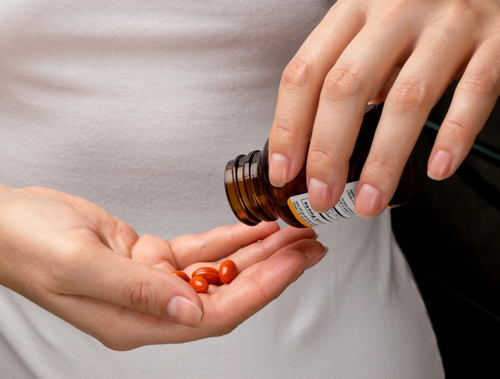 Future research may explore whether drugs like lorcaserin can reduce opiate use in people. 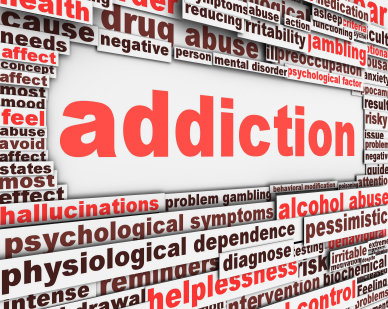 Currently, there are a few options to treat opiate addiction. N-acetylcysteine (NAC) is an over-the- counter (nonprescription) drug that has been shown to decrease opiate use in both animals and humans. NAC also decreases use or craving for many other drugs of abuse including cocaine, alcohol, nicotine, and marijuana. NAC reduces the excitatory glutamate signal in the reward area of the brain (the nucleus accumbens) by increasing the number of transporters carrying glutamate out of the synapse and into glial cells. It has an excellent side effects profile and can readily be used in opiate-addicted patients. Opiate replacement therapy with methadone or the partial opiate agonist buprenorphine is one treatment option for opiate addiction. Buprenorphine is also combined with the opiate antagonist naloxone in a drug called Suboxone, which can reduce opiate use. Naloxone is a pure opiate antagonist that can rapidly reverse the respiratory-suppressing effects of an overdose of opiates.